Learning to play an instrument requires dedication, patience and a bit of discipline. For most people, the work it takes to learn an instrument is well worth it – knowing how to play an instrument is a thrill to young and old alike, and something people can enjoy throughout their lives. One of the questions people often ask when deciding to take up an instrument is whether or not to join group lessons or the one-on-one music lesson. Group lessons can be an enjoyable experience, but the benefits of one-on-one music lessons are numerous and should also be considered. If you’re considering music lessons for yourself or for your child, be sure you know how one-on-one music lessons can make a difference. 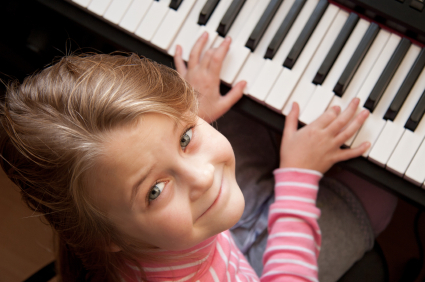 Most people can learn how to play an instrument, the question to ask is how does a student learn best? One-on-one music lessons offer new and experienced musicians the chance to learn in an environment that is tailored to their needs and learning style. One of the major differences between group lessons and the one-on-one lesson environment is that students can progress at their own speed. Quick learners can develop at their own pace, as can students who may require a bit more attention and time before taking the next step. In addition, shy students need not worry about keeping up, or worry about whether or not they’re playing as well as other students. In other words, in a one-on-one music lesson, anxiety can be greatly reduced or disappear all together, especially for students who are concerned about their abilities, or worried about keeping up with other students. Of course, the most important advantage of taking one-on-one lessons, is that a student and his or her instructor can learn how to work cohesively together, and create an ideal learning environment. In other words, one-on-on lessons enable instructors to design lessons based on their student’s needs, learning style, and personality. Better Troubleshooting: Instructors can take the time to work individually with a student who isn’t grasping a concept or has trouble overcoming an obstacle. Develop Better Problem Solving Strategies: It’s easier for instructors to implement problem solving strategies when working with one student at a time. In addition, it’s easier for students to cope with difficulties when in a private, non-judgmental setting. Better Time Management: In a one-on-one setting, students don’t have to share their instructor’s attention, so time is used to a student’s best advantage. Better Focus and Concentration: In a private setting, students can learn to focus on the lesson and the material they are learning. In addition, it’s less likely that a student will become frustrated if they face an obstacle, because they have the freedom to learn at their own pace. If you’re considering one-on-one music lessons, remember that the lesson is only part of the learning experience. Practicing and working at home to learn and master the instrument is as important as the lesson. Be sure you do your part to make the learning experience an enjoyable one.